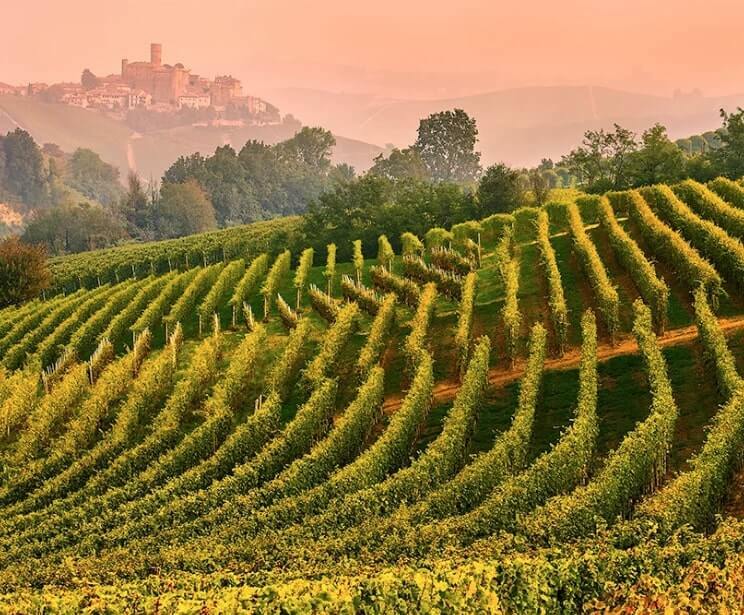 Discover Wineries, Vineyards, Private Wine Tours, Truffle Hunting & What to do in Castiglione Falletto, Langhe, Piedmont, Italy. 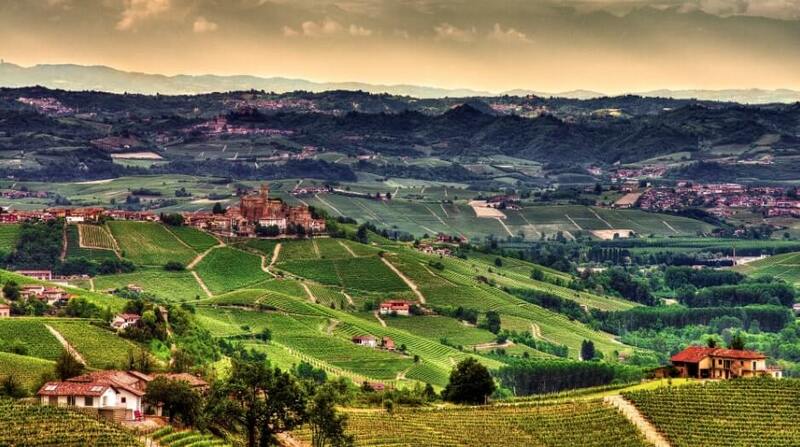 The small Italian village of Castiglione Falletto is placed in a dominant position on a hill between the two branches of the river Talloria (Langhe, Piedmont). The village is centralized around the medieval castle, naturally defended on three sides by steep slopes. The village probably dates back to Roman times, as evidenced by a plaque found in the walls of the castle. During the Middle Ages it passed in the hands of the Marquis of Saluzzo and became cestrum et villa. Later the territory became part of the Delfinato and then, in 1601, of the Duchy of Savoy. 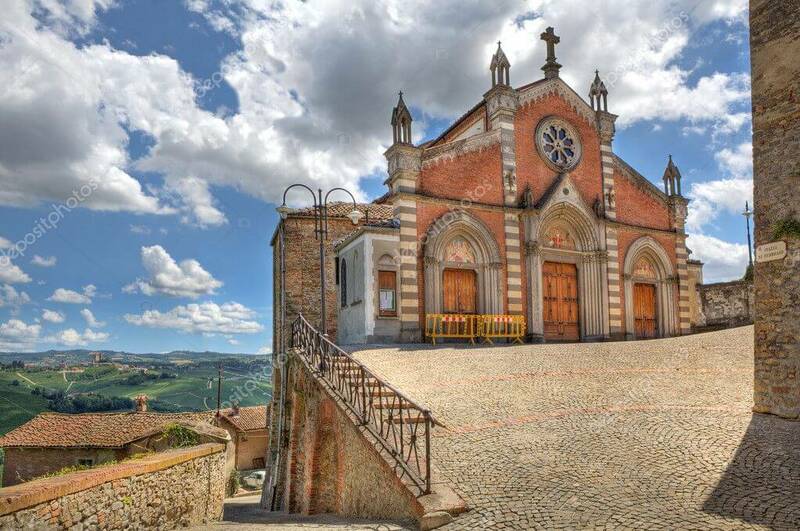 What to see in Castiglione Falletto? The Castle (Pizza Castello) is a building enclosed inside a regular curtain, reinforced in the corners by cylindrical towers, smaller compared to the main tower, who stands in barycentric place. The mighty cylindrical lower, that has a diameter over seven meters, is still visible today from large distance. The castle was built by Berthold Falletti of Alba, who had received the place as feud, in 1225, by the Marquises of Saluzzo, in exchange of certain rendered services. The Falletti, who were owners until the end of seventeenth century, wanted to add their name to that of the village. After the Falletti succeeded several families, including the Caramelli and the Clarotto, and then, in the second half of the eighteenth century, Giuseppe Cerutti, Arcadian poet, and the Vassallo of Dogliani. This family realized, again in the mid-nineteenth century, several masonry and renovation works of the Fortress, returning it the dignity of a noble house. Today it continues 10 be privately owned and not open to visitors. At the bottom of Piazza Castello, a narrow passage leads to the parish church of San Lorenzo, built in 1893 in neo-Romanesque style, whose churchyard is a privileged observation point on the vineyards of the Bassa Langa and on the village of Serralunga. In the side altar of Sant’ Andrea there is an oval altarpiece of eighteenth century attributed to the painter of Bra Pietro Paolo Operti, that portrays the Immaculate Conception, Sant ‘Andrea and San Francesco. In the immediate vicinity of the castle, is also situated the town hall, where in its basement is located the Municipal Wine Cellar : born in 2003 thanks to the initiative of a dozen entrepreneurs, currently adhere 26 local producers, in order to promote and enhance the local wines, through guided tastings and wine and food events.